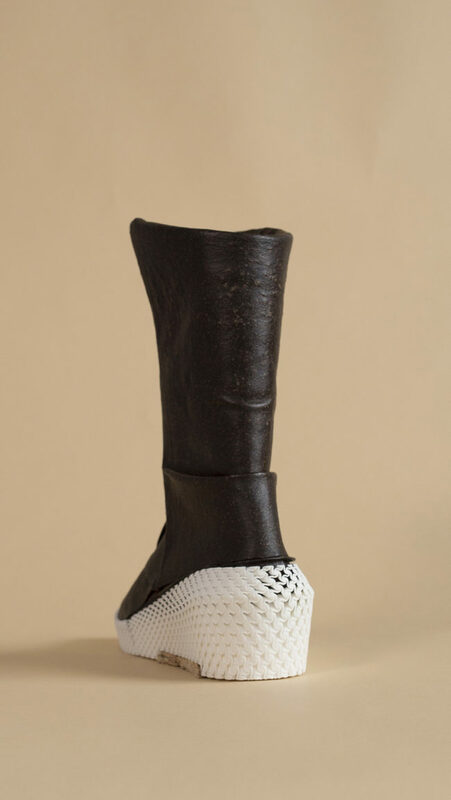 Caskia / Growing a MarsBoot is one of the latest projects developed by OurOwnSkin | Liz Ciokajlo in close collaboration with Officina Corpuscoli | Maurizio Montalti. 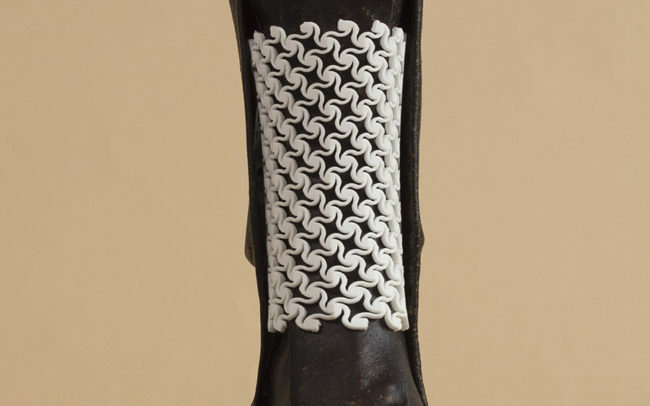 The project has been commissioned by the Museum of Modern Art (MoMA) Senior Curator, Paola Antonelli, to be presented as part of the exhibition “Items: Is Fashion Modern?”. 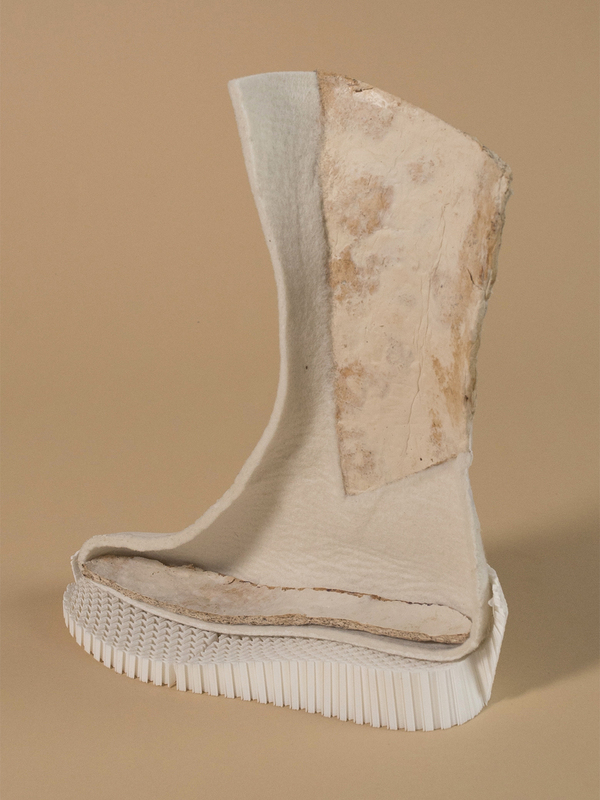 Growing a MarsBoot is a project rethinking and questioning, through a designer lens, our 21st century material culture, its values and the ongoing challenges and perspectives of living on Mars. 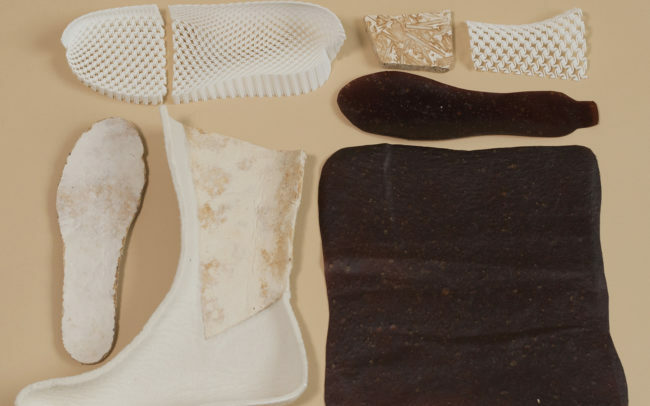 The project addresses the restrictions characterising space travel and the need to optimise logistic needs, by minimising the quantity of required matter (fungal mycelium spores) loaded in the craft at launch and by later growing materials and tools during the journey towards Mars. 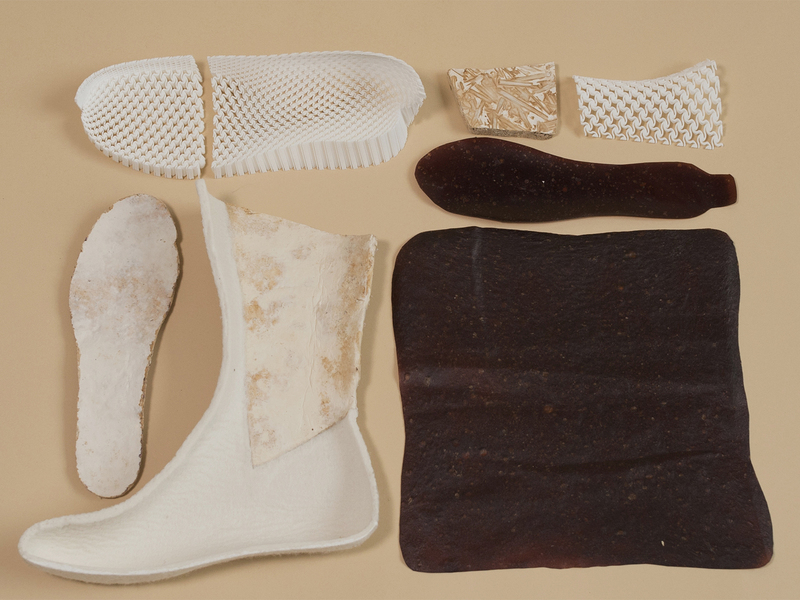 In this scenario, astronaut’s sweat is filtered and combined with fungal mycelium, partly feeding the fungal culture for the generation of grown materials, raising debate about how much of our own bodies can be utilised as a material source for producing fashion items in space and on Mars. 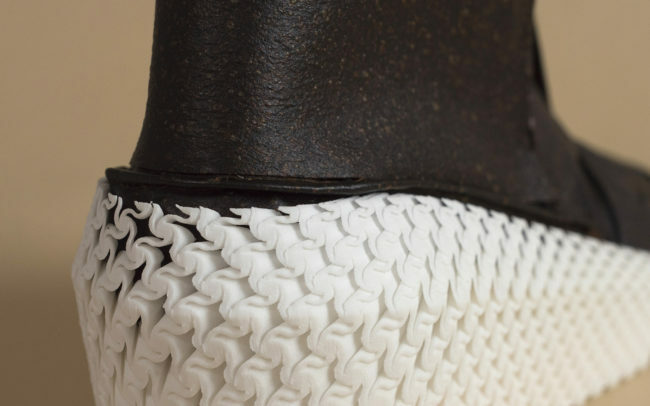 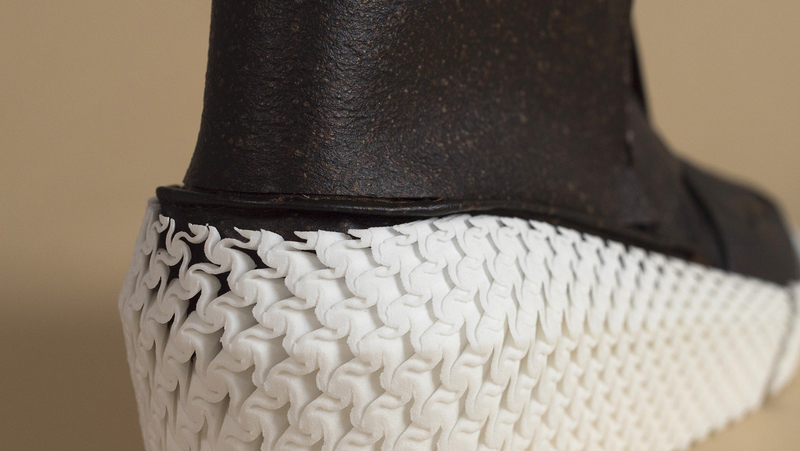 A combination of hi-tech and lo-tech processes are implemented to construct the footwear with mycelium variants, such as pure or composite mycelium-based materials (cotton/hemp + fungus), characterised by different physical and technical qualities. 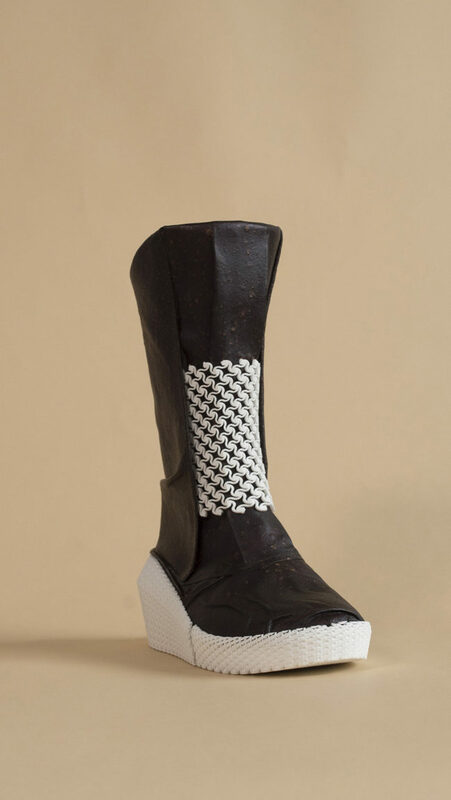 Culturally, the concept references and addresses both the H.G Wells dystopian view of Mars scarcity and the Alice Jones and Ella Merchant utopian view of Mars female liberation and harmony, as evident in science fiction when discussing the province of Caskia. 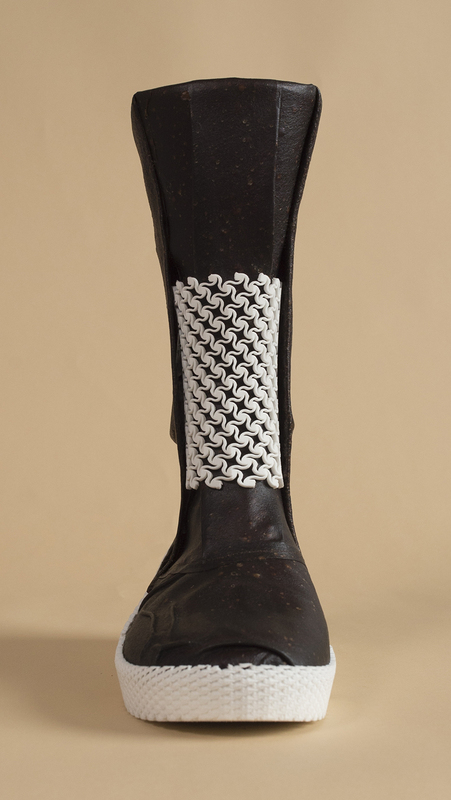 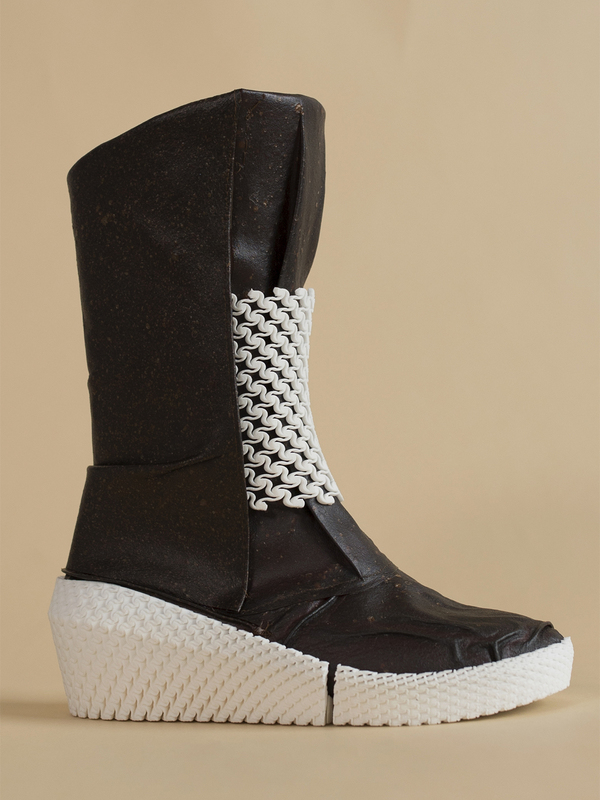 While Tecnica’s Original MoonBoot (early 1970s) reflected the material culture characterising the ‘Plastics Age’, with this project we aim to evolve the archetype towards a degradable, ‘made in space’, female MarsBoot, reflecting on our 21st century challenges and values, as well as on the responsibility towards the consequences deriving from the introduction of any material on any typology of ecosystem. 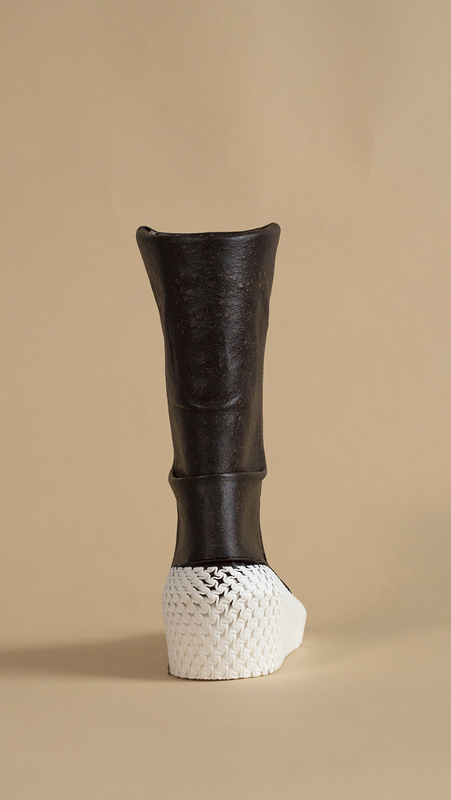 In line with the MarsBoot prototype, the film ‘Material Migration’ has been produced, providing insights about the overall project.